Director Charliebebs Gohetia defends his new teen horror-thriller on comparisons to international films. 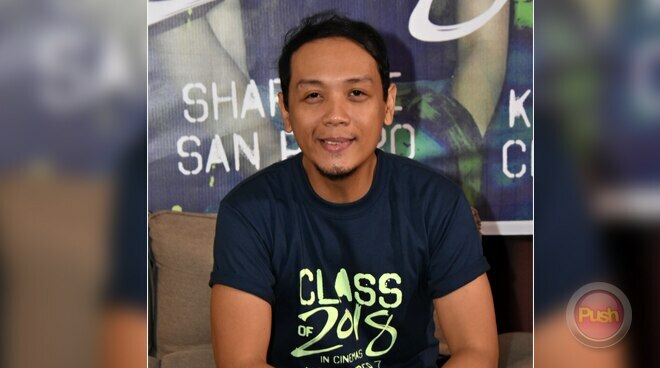 T-Rex Entertainment’s Class of 2018 director Charliebebs Gohetia said he is excited to show the Filipino audience a new kind of teen-oriented film. The project stars Nash Aguas and Sharlene San Pedro in their first starring movie roles. “I think what makes it special is it is kind of a reinvention of the genre. So it’s a suspense thriller pero meron rin siyang other genre na mixed in like comedy and drama, teen coming-of-age, parang ganun,” he said. In Class of 2018, a group of student underachievers find themselves trapped in one area where they have to fight off their fellow classmates infected with a strange and mysterious virus. Direk Bebs denied his movie was inspired or took inspiration from other international films like Battle Royale or The Hunger Games. “Hindi siya Battle Royale-based kasi wala namang virus sa Battle Royale. Pero may comparison lang kasi based on the trailer. Pero I think it’s more than that. Kasi doon nandun sila para magpatayan. Dito kasi wala silang choice kundi mag-survive. Parang ganun,” he explained. Even though he admitted his lead stars were not the original actors cast in the film, Direk Bebs said he was impressed with Sharlene and Nash. “It helps that these kids are really good actors. Parang they just weren’t given the opportunity. Si Sharlene kabado kasi matagal na nga daw siyang hindi umaarte. Her last was MMK (Maalaala Mo Kaya) pero nominated siya sa Star awards for best actress. That’s proof na magaling na actress si Sharlene. Kailangan ko lang siya i-assure and it helped na magaan siya katrabaho. Magaling silang mga bata. Kailangan lang nila ng opportunity para mag-shine sila,” he said.